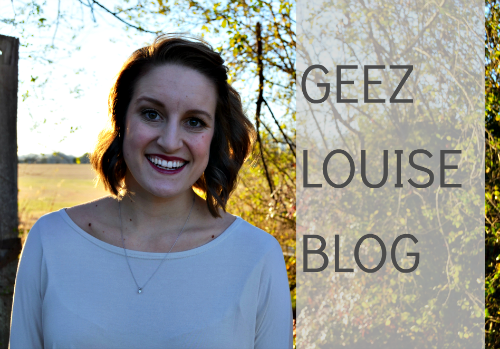 Geez, Louise: On saying "I Love You"
On saying "I Love You"
"I love you." I still remember the first time I said those words to you - or rather, the way you pulled them out of me, asking "do you?" Of course I said I did, didn't you? Did I know then what our relationship would entail? The ups, downs, the laughter, the tears, and everything else in between? No, I did not. But I knew that I loved you. "I love you." Said day in and day out. On the sky lifts at the zoo, at the beach during family vacation, during long car rides, and after arguments. Said on boat rides on the lake, camping on the river, and while working on jet ski motors in the garage. Said during lunches out, dinners in, and while making breakfast together in our pjs. "I love you." Whispered during our first dance, after the first kiss, and so many other times on the night we vowed to love each other for the rest of our lives. Thinking about that day and the promises we made each other, I still get heart flutters and teary eyes. Such a big commitment, made with such ease and assurance, I couldn't imagine it any other way. "I love you." Mumbled routinely before bed each night. Sometimes cuddled together, sometimes facing our separate ways, but always said. Reassurance, reminding each other - I'm still here, I always will be. "I love you." Sometimes it isn't words, but actions. Mowing the yard, taking out the trash, scooping the cat litter, and especially washing the laundry. I'll do it so you don't have to - I love you. Picking up dinner or running to buy some ibuprofen. I'll do it, it's not a problem - I love you. In the big ways and the small ways, we say it every day. It's there, in the forehead kisses and the couch cuddles. Sometimes I feel like I don't say it enough, so this letter is to let you know. I love you. Omygosh that was the sweetest letter ever. Beautiful words. I loved this letter to your husband. It was beautiful and real. I love the part about whispering it after your first dance, your first kiss and remembering the commitment you made to each other. As I get ready to get married on May 16th (EEK! SO SOON! ), I have butterflies in my own stomach as your letter reminds me to think about what it will be like on my own wedding day. I also love the part about saying "I love you" each night before bed. Because I need that reminder too- to never go too long without saying "I love you"! 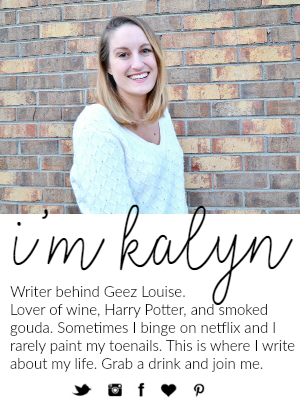 So happy to have stumbled across your blog today! This is absolutely beautiful! Such sweet words, simple yet so elegant. And a wonderful reminder that "i love you" can go a long, long way and hold so many memories. I don't think we often realize that places that any particular word happens or doesn't. But when I think of the way that "I love you" moves and defines itself in certain moments or others, it blows my mind. This just opened me up to a whole new world of thinking about words (seriously). These letters always get me all teary eyed. There are definitely many forms of "I love yous" in marriage! This is so sweet and beautiful. Love is so very wonderful, I'm happy you are with someone who you are able to share so much love with! This is so sweet it brought tears to my eyes! Yall are inspirational! I love love.